LawAdmin.com is a Business Edge legal software product allowing law firms to update their web sites easily, not only saving money but also keeping their sites up to date. Business Edge has been designing law firm web sites and customized legal Content Management systems since 1996. 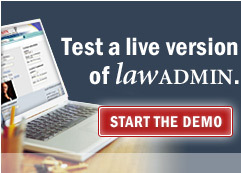 LawAdmin.com is feature rich, while maintaining an affordable price. Business Edge also offers the highest quality law firm web design at affordable prices.